Here’s what the research says about the benefits of different kinds of meditations—Plus, three questions to ask to find the style best for you. 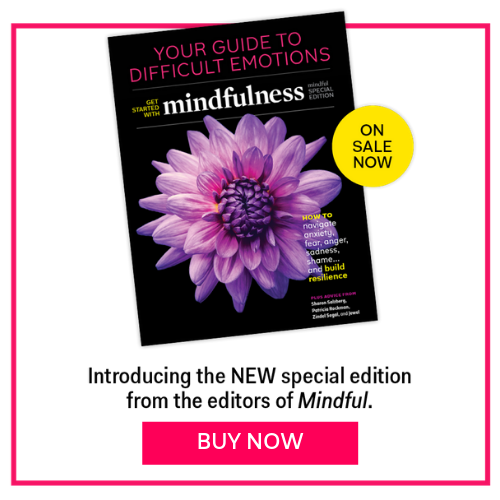 As my long-time friend and colleague, neuroscientist Richie Davidson, and I worked on our book, Altered Traits: Science Reveals How Meditation Changes Your Mind, Body, and Brain, we looked at thousands of scientific studies that reveal the impact of meditation. Not surprisingly, it turns out that some forms of meditation are more effective at promoting relaxation while other forms have a greater impact on relieving depression or the effects of trauma. Still others improve focus, and yet other types enhance compassion and kindness. 1) What benefits are you looking for? Do you hope to relax? Focus better? Develop more equanimity? Improve your health? Consciously or not, each of us comes to a meditation practice with our own hopes or goals. 2) Which Type of Meditation Do You Practice? Meditation comes in many forms, with mindfulness the best-known these days, but not the only one. There are other forms of mindfulness, like ‘insight’, and its common companion, loving-kindness. Then there are methods that use mantras, like TM. There are guided visualizations, and mind body practices, like yoga, to name but a few. Then there’s the question of how much you meditate. Some meditators maintain a daily practice of short sessions fit in around other life priorities. Others meditate primarily in a retreat context, diving deep during days and weeks of formal practice, or combine daily practice with occasional retreats. Some continue practicing for decades, others for a short time. Think of the total number of hours of meditation practice we do over our lifetime. That math matters: we find a “dose-response” effect, where more meditation leads to a greater range of benefits. And, going wide with a long-term daily practice has a different effect than going deep with weeks of retreat meditation. Scientific research on meditation has greatly expanded since the experiments on meditators we conducted in graduate school in the 1970s. Back then there were just two published studies of meditation we could cite. Today there are more than 6,000, with the greatest number coming in the last five years – and mindfulness the single most-studied method. You don’t have to be a long-term expert meditator to reap benefits from meditation. In Altered Traits we look at the results from the very best studies – the top one percent. We especially wanted to find evidence that meditation creates long-term effects, lasting trait effects rather than just short-term state effects that vanish once you stop your meditation session. The good news? The best data shows powerful impacts from meditation right from the beginning. The more hours of practice you accumulate, the stronger the benefits. Mindfulness meditation: Clearly, if your goal is to increase your ability to focus and ignore distractions, mindfulness meditation strengthens the brain’s ability to do that. Mindfulness also makes us more resilient under stress. Mindfulness-Based Stress Reduction (MBSR): You don’t have to be a long-term expert meditator to reap benefits from meditation. The amygdala, the “fight or flight” part of our brains, is less reactive after thirty or so hours over eight weeks of Mindfulness-Based Stress Reduction practice. Loving-Kindness Meditation: With loving-kindness meditation, as few as seven total hours over two weeks increases connections in the brain for empathy and positive feelings. This impact is strong enough to show up outside the meditation state. Retreat: Meditating in a retreat setting has a different impact than a daily at-home practice – for instance meditators who did retreats had a slower breathing rate, an indicator of a more relaxed metabolism. The medical establishment was surprised by findings that seasoned meditators lessened levels of activity in inflammatory genes after a daylong retreat. Each of us has our own reasons for meditating and we make our own choices of which form to practice. The good news is that whether we go deep in retreat or wide in a home practice, meditation has payoffs.